You'll be £12.99 closer to your next £10.00 credit when you purchase Your Irish Ancestors. What's this? Your Irish Ancestors provides an entertaining insight into everyday life in Ireland during the past four centuries. Aimed primarily at the family and social historian, Ian Maxwell's highly readable guide introduces researchers to the wealth of material available in archives throughout Ireland. Many records, like the early twentieth century census returns and school registers will be familiar to researchers, but others have been traditionally overlooked by all but the most experienced genealogists. Each chapter takes the form of a detailed social history showing how the lives of our ancestors changed over the centuries and how this is reflected in the records that have survived, and it is in this broad historical approach that Ian Maxwell's work stands out from other guides to Irish genealogy. 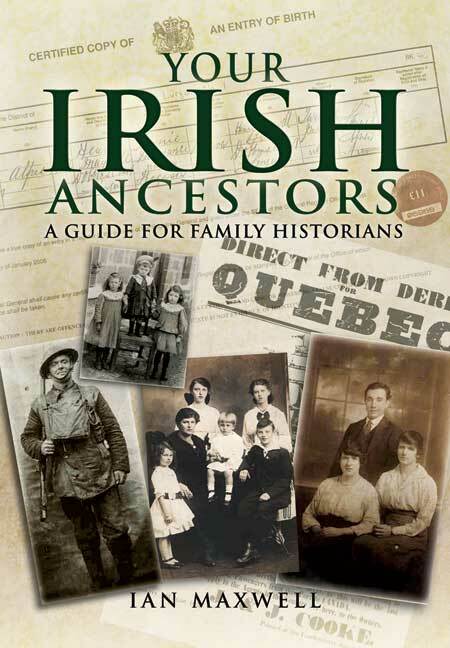 Your Irish Ancestors is more than just a technical 'how-to-do it' book, for it will help family historians put their ancestral research in historical perspective, giving them a better understanding of the world in which their ancestors lived. Ian Maxwell's guide for family historians is a cross between a guide and a social history. It is highly informative about the various ways of life of Irish people all over the island over the last four hundred years and provides information which will help any researcher into people from that time and place. Dr Ian Maxwell, a former record officer at the Public Record Office of Northern Ireland, is now a freelance writer and a leading expert on Irish genealogy. He conducts courses on genealogy throughout Northern Ireland and he is a regular speaker at genealogical conferences in Belfast and Dublin. He writes articles regularly for Family Tree and Who Do You Think You Are? magazines on Irish, Scottish and English social history and genealogy. His previous publications include Your Irish Ancestors, Everyday Life in Nineteenth Century Ireland and Tracing Your Scottish Ancestors.